Sebi is one of the biggest names in long-distance triathlon and he has always been great in his summer IMs, winning three of the last four IM Germany’s in Frankfurt and improving his run PR down to a 2:44:12. He has developed into a superb marathon runner that can play more cards than just his fantastic bike leg. While he is still looking to regain the winning formula in Kona, it’s hard to see him not win in the milder environment of summer Germany. It can be hot on race day, but the humidity and relentless sun in Kona are another level. The wetsuit swim in Roth should help to minimize the time he has to make up in the first part of the bike, there won’t be a huge group just “waiting” for the bike superpowers to show up. 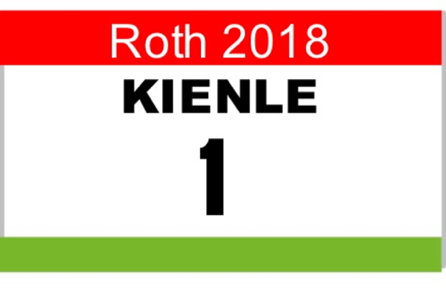 In Roth only Cam Wurf might be able to match him on the bike (and maybe Andi Dreitz), and with the rolling course it’s unlikely that someone else manages to stick with him when he moves through the field. And he has shown in Frankfurt that by now he is also able to win races on the run, even against athletes running well. So unless some unforeseen drama occurs, Sebi has the best chances to win Roth 2018. Thorsten: You’ve raced Roth twice to kick off your long-distance racing career in 2010 and 2011. What impression has Roth made on you? Sebastian: These are special memories, especially since those were my first two long races. Long-distance racing is always intense, all the spectators in Roth, and the first sub-8 of an Iron-rookie .. that was craziness. Roth ticks all the boxes, it has been able to keep a “family feeling” while being very professional. T: By racing and winning Cozumel in November you would have been able to completely change your summer schedule and your lead up into Kona. But it seems you haven’t changed all that much, only racing Roth instead of Frankfurt? S: Of course we discussed not doing an IM in the summer but it’s always been working well for me. We will make some changes mainly after Roth. Currently I plan not to race 70.3 Championships. In the past it wasn’t a problem leading into Kona, but with the race in South Africa it’s logistically a lot more complicated, and I want to be in Kona five weeks before the race. Maybe I’ll do 70.3 Santa Cruz on the way to Kona. T: How did the MTB race in South Africa [Cape Epic, a seven-day world class MTB event] fit your prep? S: It was a risk, and maybe one I shouldn’t have taken looking back. But it fit the training schedule, especially for the strength on the bike. In the end there are some decisions you have to make with your heart, and after a decade of racing professionally I wanted to do a race just because I would enjoy it. T: You’ve finished second in your half-distance races this year, both times you were beaten by Lionel Sanders. S: I was okay with St. George, looking at the results I’m still getting better and also in relation to Lionel. Samorin was different, when you’re so close to winning the race you want to wrap things up. I was well prepared and there are certainly positive takeaways, but to be honest the main thing I’ll remember is being “#2” in the results. T: What’s the goal for Roth? Are you looking for records or mainly winning the race? S: I want to take the win, but to do so in Roth you will need a quick time. But I don’t think a world record will be needed. T: It seems that IM Frankfurt one week after Roth will be a big “German showdown” with Patrick Lange, Jan Frodeno and Andi Böcherer. Would you like to have been there as well? S: Of course I’m really sad, but there will be another chance in October. I’ll be in Frankfurt as the “expert” doing commentary for German television and really looking forward to that. The female field in Frankfurt is also excellent this year.